First night in Patagonia was really rainy and very cold, our tents were frozen when we woke up. However, despite it, the morning was… truly amazing… and we can not expect better welcome sign than this. 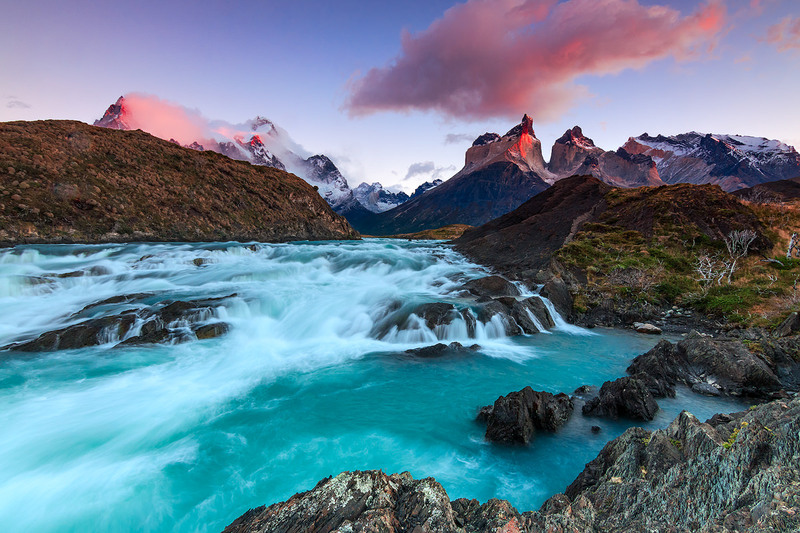 The landscape shot was taken little bit upper from Salto Grande waterfall of Torres del Paine, and in the background, you can see famous Los Cuernos towers. The photo is realised from one single shot by using powerful technique of 10-channel workflow in postprocessing.